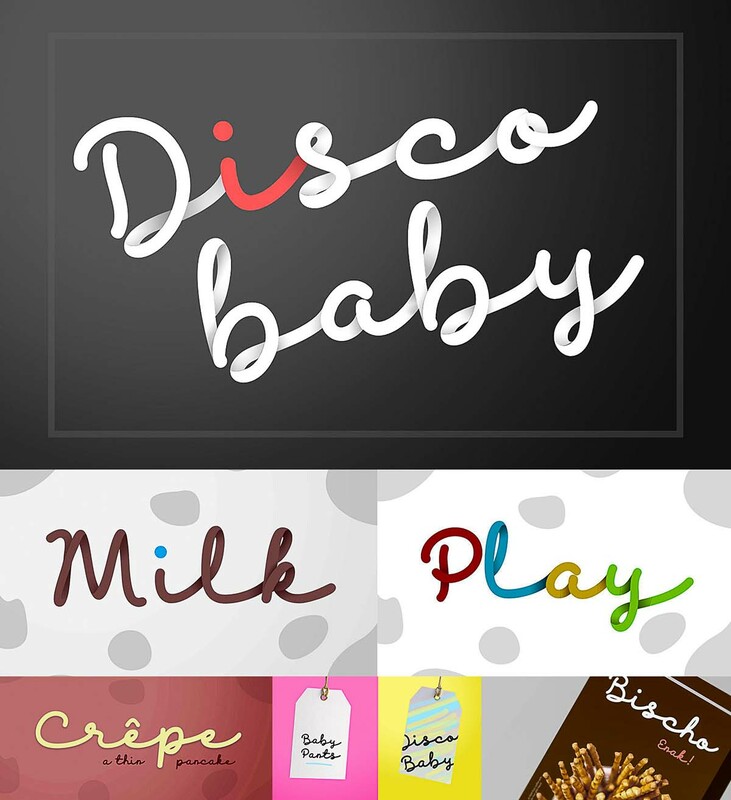 Introducing lovely script font- Disco Baby. 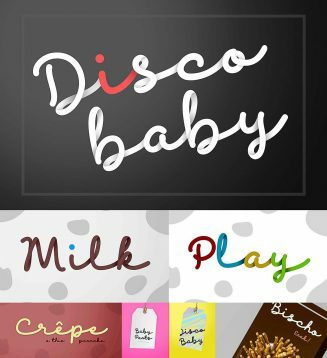 Suitable for packaging, logo, branding, website headline, food menu, kids or woman apparel designs, signatures, etc. File format:.otf, .ttf for Photoshop or other software. Tags: handwriting, packaging, playful, script.